Mandan Indians, with Medicine Man in Bear Skin', c1875. 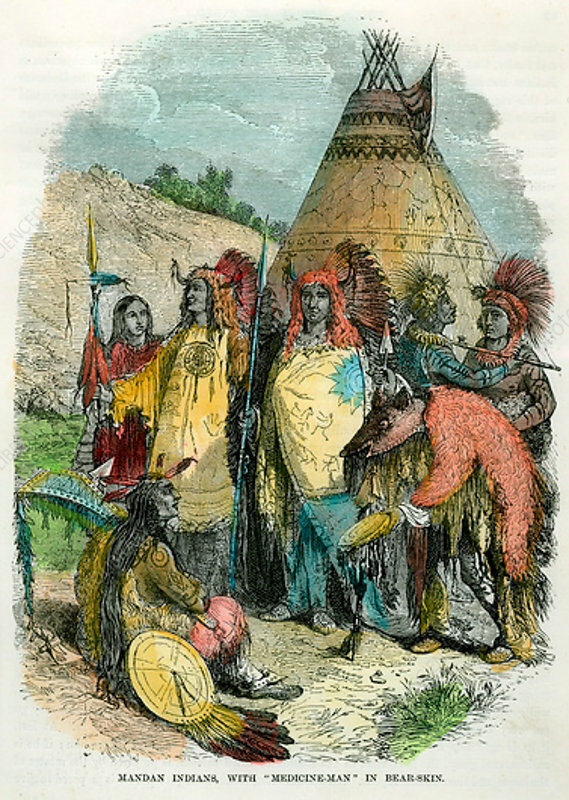 The Mandan traditionally lived along the banks of the Missouri River and two of its tributaries, the Heart and the Knife, in what is today North and South Dakota. Their numbers were greatly reduced in the 19th century by epidemics of smallpox and whooping cough, diseases introduced by white settlers and the last full-blooded Mandan died in 1971.